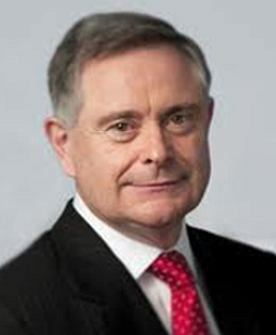 Minister Brendan Howlin, the Irish Minister for Public Expenditure and Reform - a new Irish Reformation - has a right old dogs body of a job before him. Why am I saying that just now? - yea - I wrote it with all the zeros and nice and BIG so you can clearly see the amount of money in question - €6bn extra having been spent between 2003 and 2007 on the various Public Services, that there was no noticeable improvement in the service. This is the Gospel I have been trying to spread about “Self Serving Institutions” run by over-paid completely - insulated from reality - public servants. Only in the Educational sector was there any degree of perceived improvement. So Minister, why not consider scrapping the (HSE Huge State Enema), otherwise known as the Health Service Executive. Minister, while you are at it, please also consider scrapping SEAI. You might also consider asking Michael O’Leary of Ryan Air, and some other people with an actual business sense, to take charge of these services for a year and clean them up, because hopefully they would not stand for the grotesquely deformed monster that currently passes for service by these institutions. Trades Unions, which basically I would support in theory, are also to blame for breeding much of the un-maintainable unreality we now have on our hands. The private sector public are getting restless Minister! !